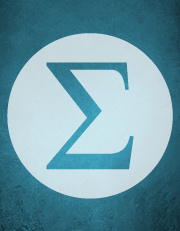 Forum of Mathematics, Sigma is the open access alternative to the leading specialist mathematics journals. Editorial decisions are made by dedicated clusters of editors concentrated in the following areas: foundations of mathematics, discrete mathematics, algebra, number theory, algebraic and complex geometry, differential geometry and geometric analysis, topology, analysis, probability, differential equations, computational mathematics, applied analysis, mathematical physics, and theoretical computer science. This classification exists to aid the peer review process. Contributions which do not neatly fit within these categories are still welcome. Forum of Mathematics, Pi and Forum of Mathematics, Sigma are an exciting new development in journal publishing. Together they offer fully open access publication combined with peer-review standards set by an international editorial board of the highest calibre, and all backed by Cambridge University Press and our commitment to quality. Strong research papers from all parts of pure mathematics and related areas will be welcomed. All published papers will be free online to readers in perpetuity.